Co-trainer Pam Gerard said: “Akaba should be suited by a bit of cut in the ground. In foal, she is a pretty fit mare, side winkers go on, and hopefully might be able to take up a more prominent position”. 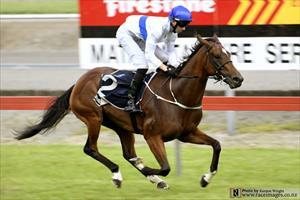 “Bridal Veil won very well last time and given a bit of time between races. A nice barrier draw (1) should enable her no extra work. She has trained on well, looks immaculate and we are very happy with her going into the race. Up in grade, but she certainly has ability and a gap between runs is ideal for her.